The April numbers are in. 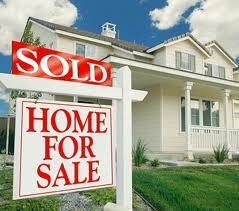 Good news for sellers; Atlanta is approaching a seller’s market based on the current month’s supply of listings. Inventory of active listings for single family homes is down 27% when compared to April 2011. Listings under contract and sold are up are up 13% and 25%, respectively from last year. Listings that are priced right and show well are literally flying off the shelves. Average sales price remains low because the majority of the homes selling are still in that <$200,000 price range. There ARE buyers out there for the higher priced homes, the inventory just isn’t available. So if those sitters would get off the fence and jump in the market sales prices would increase and we’d see even more activity in the market. So if someone you know needs help getting off the fence, send them my way. I’ll be happy to help them understand why this is a good time to move. As always, if you have any questions about this info or would like to see the full report, just ask. The housing market and the overall economy are improving at modest rates nationally, and in some areas they have actually gained momentum. The Conference Board’s CEO confidence index is up a notable 14 points—from 49 last quarter to a current reading of 63. A reading of 50 is the threshold above which indicates an optimistic outlook and below indicates pessimism. Rapidly growing optimism is a good sign for future hiring and growth. As rents continue to rise, buying becomes a more and more attractive option as home affordability, or the percent of income it takes to pay the mortgage, continues to be among the most favorable in history. The current record interest rates, which factor into affordability, cannot last forever—buyers wanting to take advantage of this unique time in history will want to act before rates rise. Home sales slipped 2.6% from the previous month to 4.48 million units, yet are 5.2% higher from a year ago. A strengthening economy is improving consumer confidence and drawing an increasing number of people into the market. In some local markets, there is not enough inventory of quality homes for buyers to purchase. As these markets see more new listings for their hungry buyers, national home sales could increase. Housing inventory remained stable from the previous month at 6.3 months supply and was 26% below year-ago levels. This marks the fourth consecutive month of inventory near a six-month supply, which is the threshold of a balanced market. Movement out of the deep buyer’s market that has persisted over the past three years is an important step that must precede a full-scale housing market recovery. Mortgage rates continue to boost home affordability by remaining below 4%—some of the lowest rates on record since 1971. These rates may have begun to find a bottom as there is not much more room to go down, adding to the urgency to buy a home now while these record lows hold. Less Time on the Market. Homes that were priced at market value sold in half the number of days as homes that were overpriced. More Money. Pricing right when the home is first listed leads to sellers netting a higher percentage of their asking price, also referred to as the list-to-sell ratio. Less Hassle. When a home is priced right, it means that fewer buyers need to view the home to understand it is a good value—and that leads to fewer showings before getting an offer. Fewer Reductions. When a home is priced at market value, often it won’t need a price reduction. Depending on local market conditions, sometimes it will—either way, it will be less likely to require one if it is priced right to begin with. More Multiple Offers. Homes that are priced right are twice as likely to have multiple offers. This can lead to a higher sold price and it puts the seller in the driver’s seat by providing more options to choose from. Call or email me today for more information about whats going on in your area! Looking for something fun & different to do this weekend? 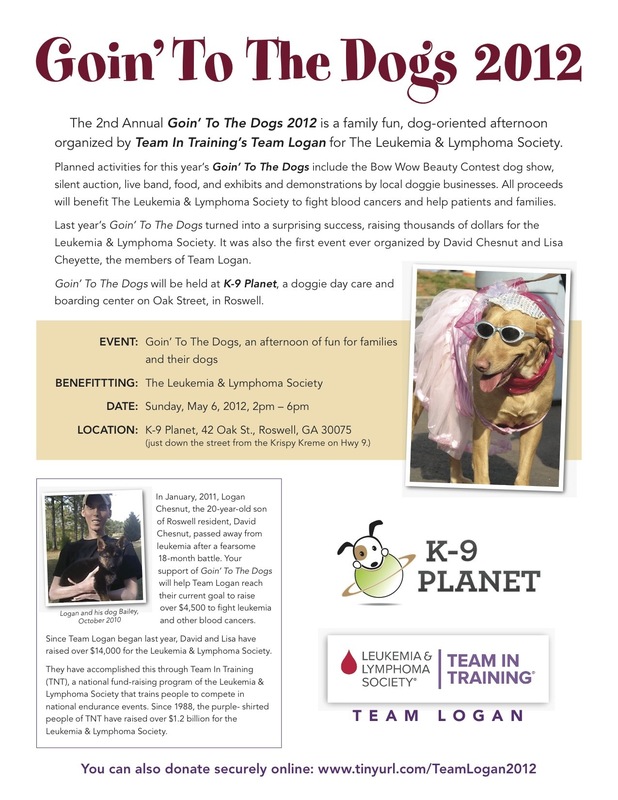 Check out Goin’ to the Dogs 2012 . This awesome event is sponsored by a dear friend, David Chesnut in honor of his son Logan who died from Leukemia last year. Don’t miss this great opportunity to have fun and earn some good karma points! The NCAA wasn’t the only thing that experienced Madness in March. Residential Real Estate continued to enjoy brisk activity. Listings under contract increased by 18% in March 2012 vs. March 2011. We’ve also seen a 25% increase in homes sold in the past 3 months when compared to the same period last year. Additionally, there were 35% less active listings for single family detached homes in March 2012 vs. 2011. We NEED MORE LISTINGS to fill pent up demand in the $300,000+ price ranges, especially in certain “hot pockets”! Homes that are priced right and show well are literally flying off the shelves! Homeowners with the good inventory that are sitting on the fence are killing me! Not really, but it IS frustrating to have a huge pool of buyers in an empty pond (of good inventory). BTW, the pond is particularly empty in parts of East Cobb, Dunwoody & North Fulton County. Would LOVE to list homes in these areas! Another point of consternation is that if more fence sitters jumped in the game it would help our average sales price to increase. The average sales price is being pulled down because the majority of homes selling right now are in the <$200,000 range. The fence sitters with the larger homes that would downsize or folks moving up represent higher price ranges. Therefore, anyone purchasing a home now would be able to not only take advantage of the awesome deals and low interest rates; they would contribute to our market’s recovery as well as! So if you or someone you know would like to make your contribution to Atlanta’s real estate recovery, save money and get a great deal, contact me NOW!